Having just finished the summer bottling, we had a day off and went to visit Momma Snail. 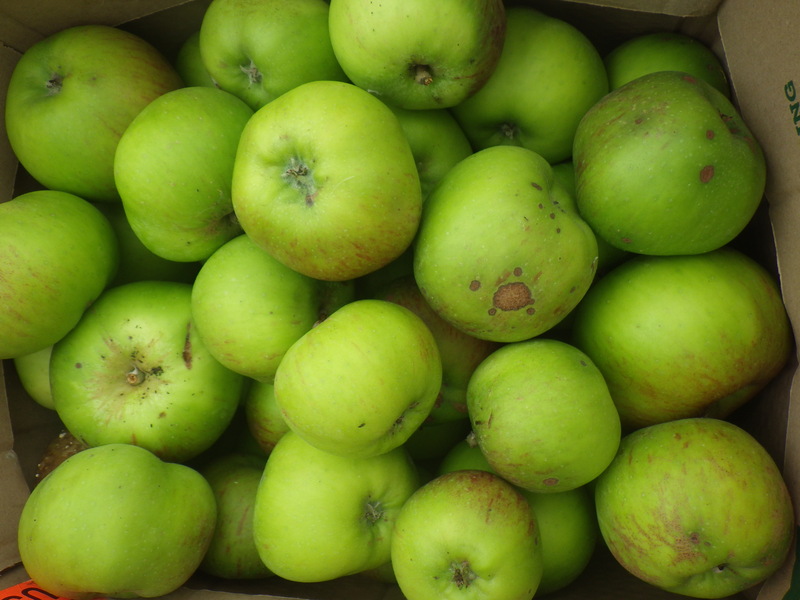 Imagine my delight to be offered some of her windfall apples – a sure sign that autumn is on the way and that the next big job will be bottling and juicing apples. 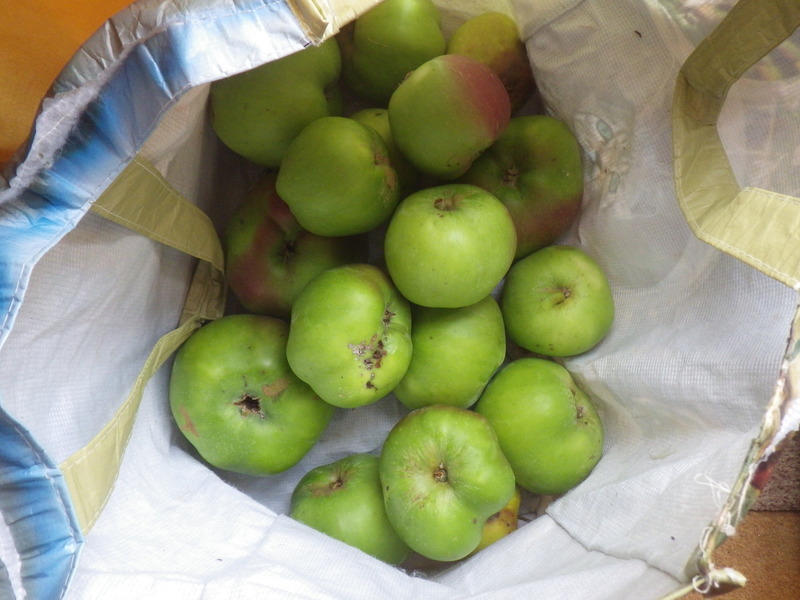 On returning home I went to check our tiny apple tree and realised that several of the branches were under severe strain with this year’s crop, so I relieved it of some of the weight and picked up a single windfall. These are all destined to become juice – possibly apple and blackberry juice if I can find the time to go for a walk to pick blackberries. There are lots more to come. 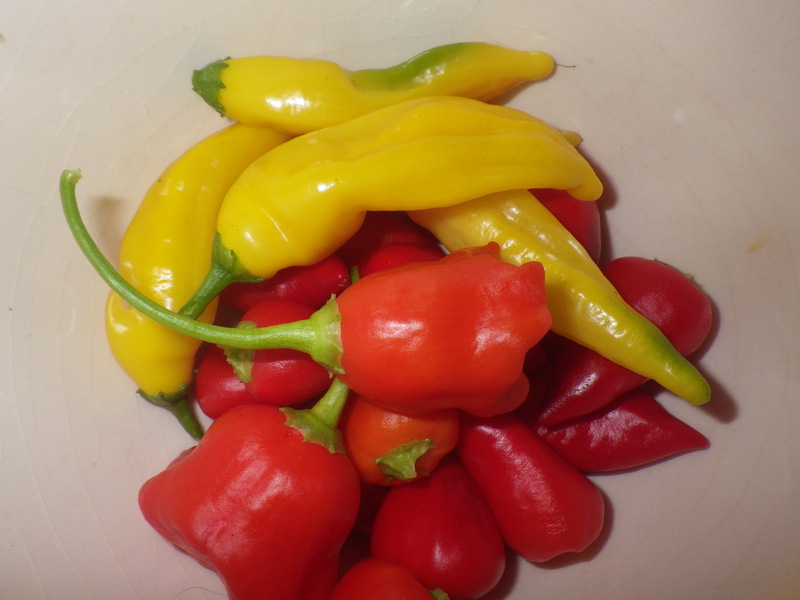 In particular, the Pyramid chillies are only just starting to ripen up, although the plants are laden with fruit. I have picked some of the Black Hungarians before they turn red as we really liked the flavour at this stage. Preservation for all these is easy – I simply freeze them whole. I’ve tried drying them in the past, but I much prefer using them from the freezer – plump and juicy and easy enough to chop/remove seeds immediately you take them out. Are you seeing signs of autumn or are you in a place to see signs of spring? 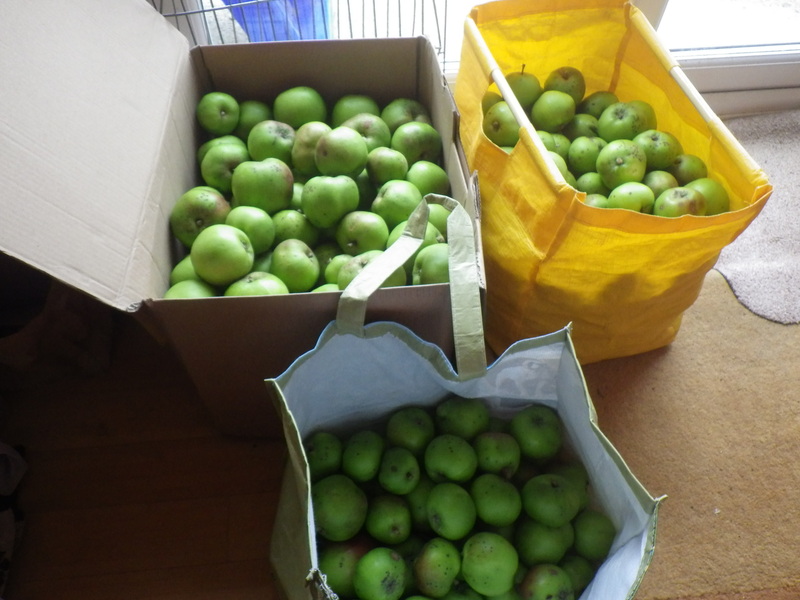 I know that you haven’t heard from me for a while, but there was a trip away, a whole heap of orders to make, piles and piles of apples to process and a novel to edit. In fact there are still piles and piles of apples and a final read-through of the novel, but progress has been made. In addition, Mr Snail was ill for a week and so I had to do all my own washing up… good grief! I have already suggested a slight edit to the text! All being well, Kirkenes Blue will be available in both paper and electronic format towards the end of the month and I’ll have preserved enough apples to provide me with a year’s worth of breakfasts. How can they escape your notice when they are so big (1.3kg)? It’s good to make plans, but in life sometimes you just have to respond to the situation. This seems to have been particularly so this year in the garden – our warm winter followed by an early spring and hot July seem to have combined and delivered us to a premature autumn. Currently there are blackberries to pick and apples to harvest. Normally I would not expect to have to deal with bags of cooking apples until September, but mum gave me the first bag from her tree on 10 August and so the great apple processing event is underway, whilst still having to deal with mounds of courgettes/zucchini (I found the one pictured snaking its way under its parent plant out of sight, attaining a weight of more than 1.3kg/2.8lbs before I spotted it). 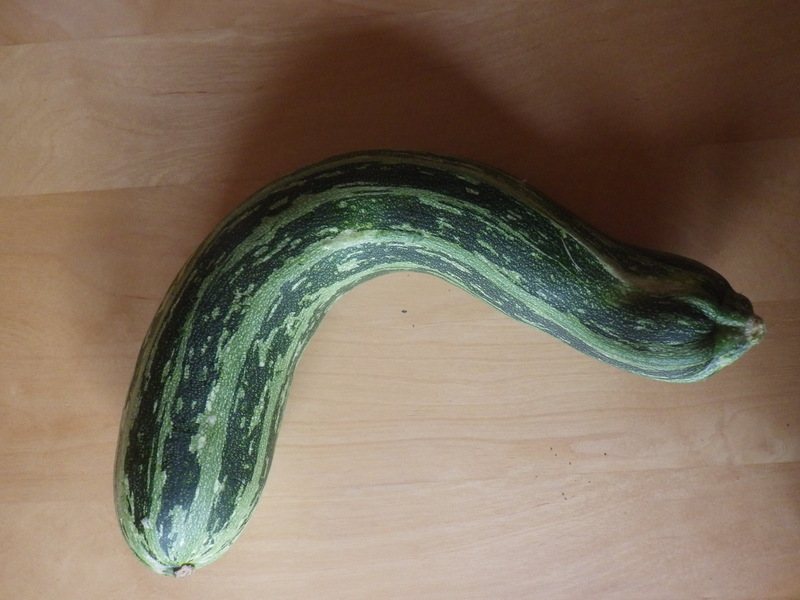 I’m waiting for a sunny day to do some more courgette dehydration. The first bag of many, I’m sure! 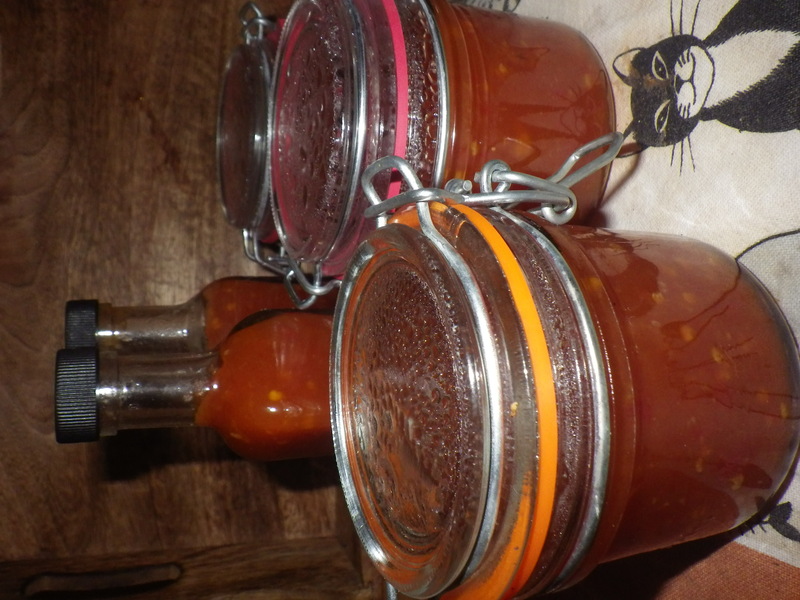 Although I know I can do dried apple rings, I love bottled apples and so most of the harvest is likely to be preserved this way… I have loads of Kilner jars, so am able to store litres of the stuff. Over the weekend I made two big pots of courgette and carrot soup, some of which we ate, but most of which went in the freezer for delicious lunches on cold winter days. So preservation is proceeding apace even if it does seem to be happening somewhat earlier than usual. 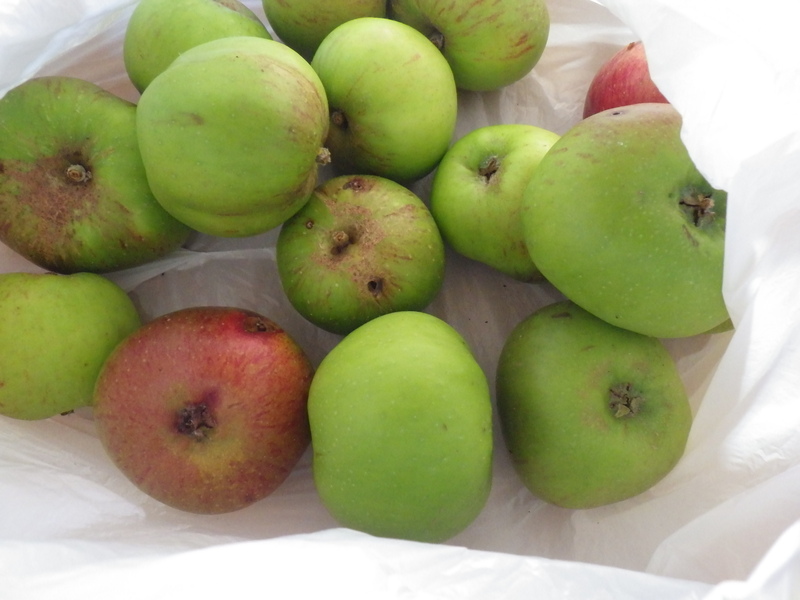 Now I’m expecting a message from Perkin to tell me to come and collect apples from their fantastic tree too. I do love this time of literal fruitfulness! However, life does throw all sorts of things in our paths and so, whilst I am busying myself with gardening, preserving and cooking, Mr Snail of Happiness is preparing to go and work away from home for at least the next six months. A phone call 10 days ago offered him a big contract with a company he has worked for before that was too good to turn down. As a result, in the past week, we have bought a second car and done a lot of on-line property hunting. We collect the new car tomorrow (a tiny one with very low carbon emissions and fuel consumption and no car tax) and he’s off to view a couple of flats on Thursday. Thus, this winter I will be ‘home alone’ during the week… which may result in much more blogging and crafting. In the mean time, bear with me because we have a lot of packing to do and finding all those things that we stored after his last contract away from home, more than four years ago. Almost every morning for breakfast I have a bowl of something oaty: porridge or muesli or granola. 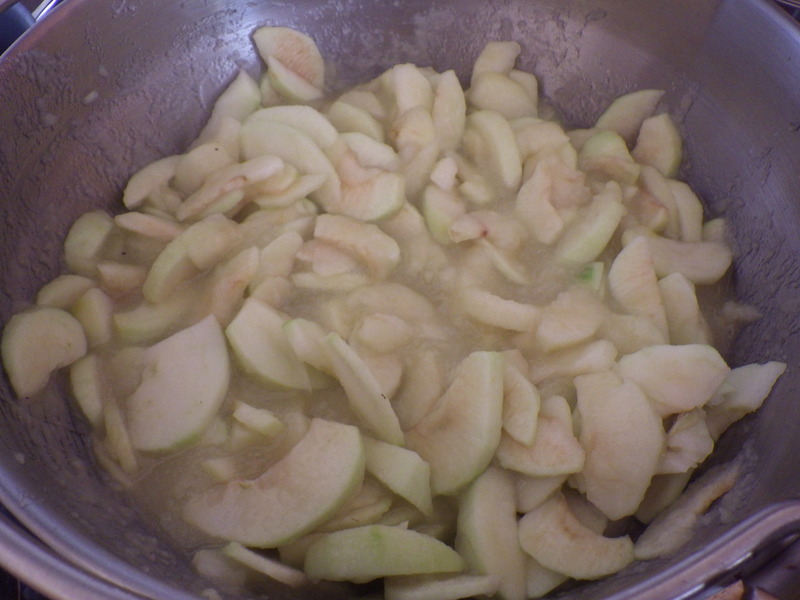 In the case of the latter two, I have it with stewed apple (yes, I’m still eating bottled apples) and homemade yoghurt. My favourite sorts of muesli are the ones where the grains are toasted, but no matter what brand or variety I buy, there is always at least one ingredient that I’m not keen on… very hard dried apricot in one (I’d like it if it was soft) and an excess of fat raisins in another. 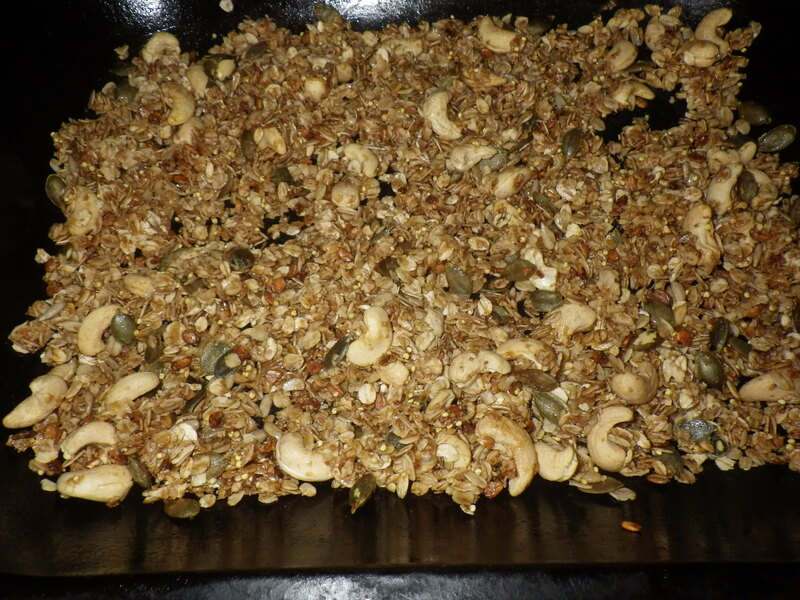 Granola is better as there are types that only contain seeds or nuts and seeds, but they tend to be very expensive. So, the other day I decided that I should find some recipes for granola and make my own, after all it’s only broken-up crunchy flapjack. Granola is not something we make much in the UK, so almost all the recipes I could find were American, but this is fine because I have a set of volumetric cup measures. I trawled through recipes, rejecting them for exactly the same reasons that I reject ready-made breakfast cereals – ingredients that I don’t much like – before I realised that it didn’t matter. All I needed, in fact, was a recipe that gave me an idea of the relative proportions of dry ingredients (oats, seeds, nuts, sugar etc) to wet ones (oil and syrup). The one I settled on had approximately 3 cups oats, 3 cups seeds/nuts, 1/4 cup sugar, 1/4 cup syrup and 1/4 cup oil plus 1 cup dried fruit added at the end. 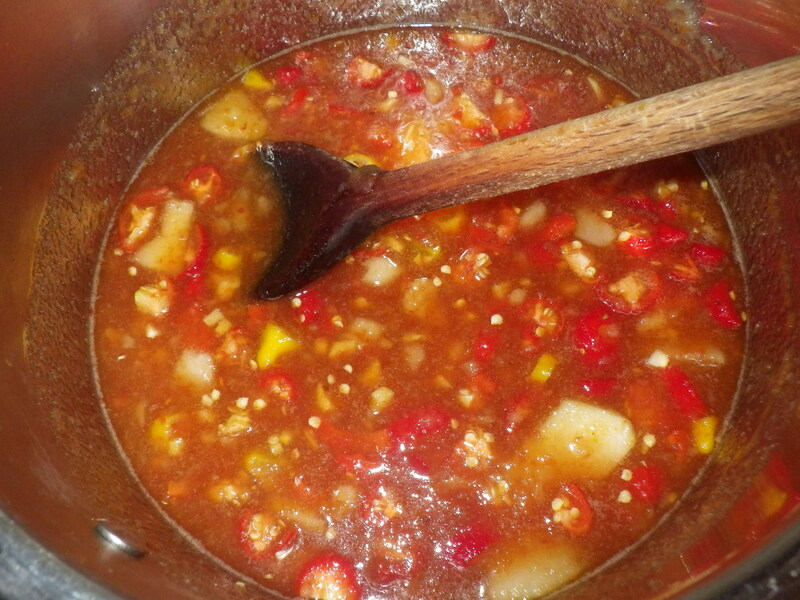 Basically, you mix everything up together (except the fruit) and bake it in a cool oven for an hour and fifteen minutes, stirring it four or five times during the cooking. I warmed the syrup before mixing to make it more runny and easier to handle (I used golden syrup). Because I wanted only to use ingredients that I like, I just took them out of the store cupboard. So, in addition to the oats, my granola contains cashew nuts, pumpkin seeds (which I grew myself) and Shipton Mill five seed mix (malted wheat flakes, barley flakes, sunflower seeds, millet and oats). I completely forgot, but I also have homegrown poppy seeds that I could have added… I’ll use some of those next time. After cooking I added chopped dates. Now I have a breakfast cereal completely tailored to me. It’s just cooling as I write, but already I can tell you it tastes delicious. In the future I will aim to increase the proportion of homegrown ingredients, but I’m already quite pleased with my first attempt. And a little addition following some discussion on Facebook… as well as adapting the dry ingredients to your taste, there’s no reason to stick with golden syrup (I used it because I had some in the store cupboard). You could try honey, maple syrup, yacon syrup (you can grow yacon in the UK so you could make your own) or whatever you fancy. And you can change the quantities. All you need to do is coat the dry ingredients, so warming the syrup to make it thinner means you can use less, or you can water it down if you want something less sweet. I should note that I used a dark raw sugar in mine, which is less sweet than granulated sugar and adds a different flavour. Oh, and I guess you could use molasses if you fancy instead of syrup. Really, the point is that this is not so much a recipe as a pointer towards experimentation.